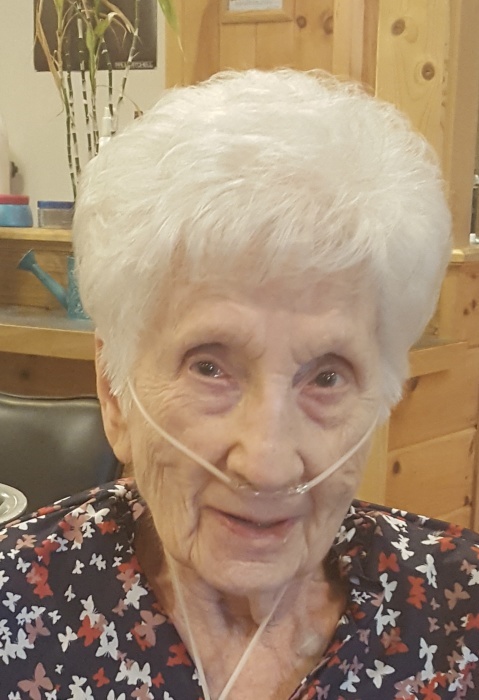 died Wednesday Jan. 16, 2019 at the James G. Johnston Nursing Home. She was predeceased by her husband Howard B. Clark Jr., a sister Clara Fenstemacker and a brother Karl Brigham. She is survived by two sons and daughter in laws Jerry and Beverly Clark, Manning, S.C., Douglas Clark and Lynn Gill of Pace, Florida; 6 grandchildren and 14 great-grandchildren, several nieces and nephews. She worked at Sweets Foundry, General Electric and IBM Corporation. She was a wonderful mother and grandmother who enjoyed fishing, golf, shopping and vacations. In addition, her beloved grand daughter-in-law Faye Clark who gave her special attention was a God-send. Special thanks to Unit 3 for the nursing care they gave her. A memorial service will be held on Friday, January 25, 2018 at 4pm, at the Hilltop United Methodist Campus, 286 Deyo Hill Road, Johnson City, NY. Burial will be at the convenience of the family at Glen Castle Cemetery.